VANCOUVER, BC – December 4, 2017 – Metro Vancouver saw modest home listing changes and steady demand in November. "We’re seeing steady demand in today’s market. 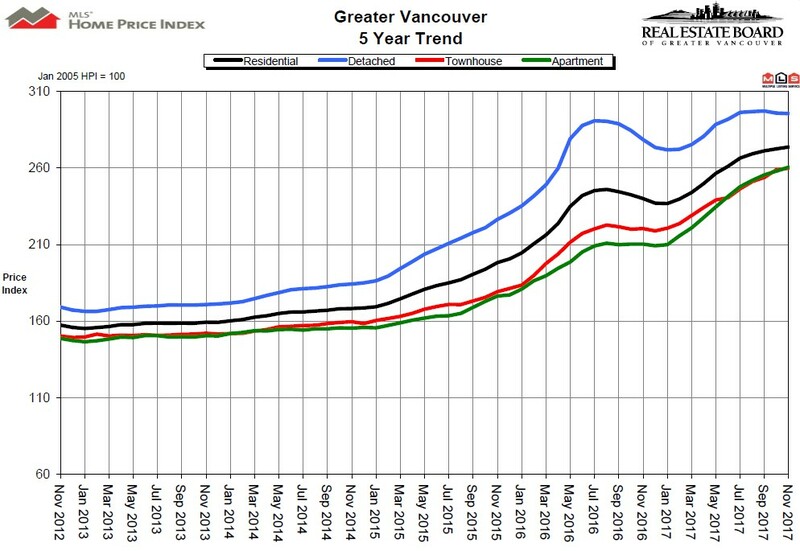 Home buyer activity is operating above our long-term averages, particularly in our townhome and condominium markets," Jill Oudil, REBGV president said. There were 4,109 detached, attached and apartment properties newly listed for sale on the Multiple Listing Service® (MLS® ) in Metro Vancouver in November 2017. This represents a 30.6 per cent increase compared to the 3,147 homes listed in November 2016 and a 9.5 per cent decrease compared to October 2017 when 4,539 homes were listed. "While we’re seeing more listings enter the market today than we saw at this time last year, we have a long way to go before our home listing inventory rises back to more historically typical levels," Oudil said. The real estate industry is a key economic driver in British Columbia. In 2016, 39,943 homes changed ownership in the Board’s area, generating $2.5 billion in economic spin-off activity and an estimated 17,600 jobs. The total dollar value of residential sales transacted through the MLS® system in Greater Vancouver totalled $40 billion in 2016. The Real Estate Board of Greater Vancouver is an association representing more than 14,000 REALTORS® and their companies. The Board provides a variety of member services, including the Multiple Listing Service® .